Cursed House 4 is rated 3.9 out of 5 by 32. Rated 5 out of 5 by Kimmycoo from Really Enjoy these So much fun. I love all of the unique power ups, graphics, levels ect..I love the Bonus levels too. I beat the game and hated to see it end! Rated 5 out of 5 by A23Skidoo115 from Love it Sure wish they would make more of these. I have all their games. 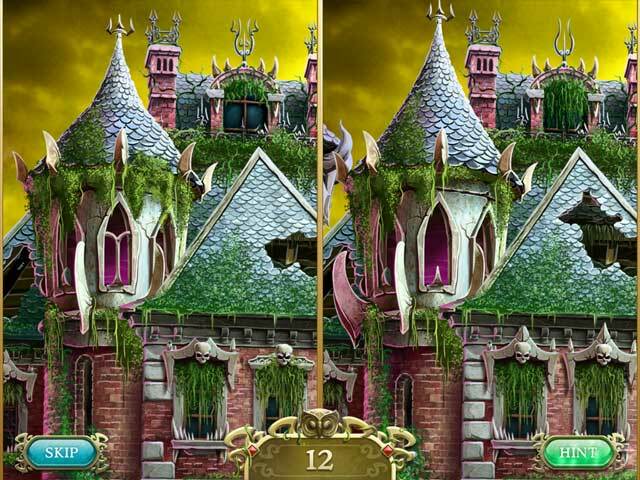 Rated 5 out of 5 by deddu from Haven of Evil Great game with 40 bonus levels. From the same developer that brings Lauraville. There are some new bugs, fire/water challenges and lots of bombs going off. Rated 5 out of 5 by bpearce2001 from EVIL Devs! I have the previous Cursed House games and love them all. This one is the BEST! The devs made it a lot more challenging with many different tasks required before you can solve each level. Requires a lot more strategy than previous Cursed House versions and I'm lovin' it! 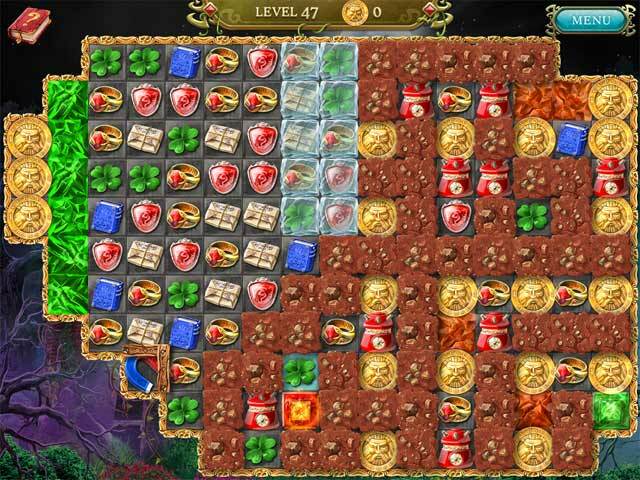 New obstacles and elements make this a definite buy for anyone that loves challenging Match 3 games! Rated 5 out of 5 by kim0530 from A great game It's true that Cursed house 4 is challenging then the previous cursed house. So if you want an easy game, this is not for you. The only issue I have is the music. Getting tired the music. Rated 5 out of 5 by mnkysmom from Good stuff! Same basic idea as devs other games with a few added differences (as well as bonus games), to keep it interesting! I thought this was a good game with replayability. Nice graphics and appropriate music. I have all in the series, and will look forward to the next one! Rated 5 out of 5 by denniann2 from another great game in the series a typical M3 that is really great! it is not hard at all. i had to replay 3 levels and i skipped one but i was getting tired and it was late at night so i think that had a lot to do with that! can't wait for the next one!!!!! Rated 5 out of 5 by verimeri from another winner This is the best cursed house. More strategy- less just blowing things up. I love everything by these developers. Cursed House series, Laruaville series, Floria, Spellarium- all great games. 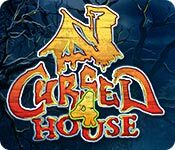 If you are new to these games I suggest you start with the first Cursed House and work your way up although each is a stand alone game. Rated 5 out of 5 by a7752p from I love the game! 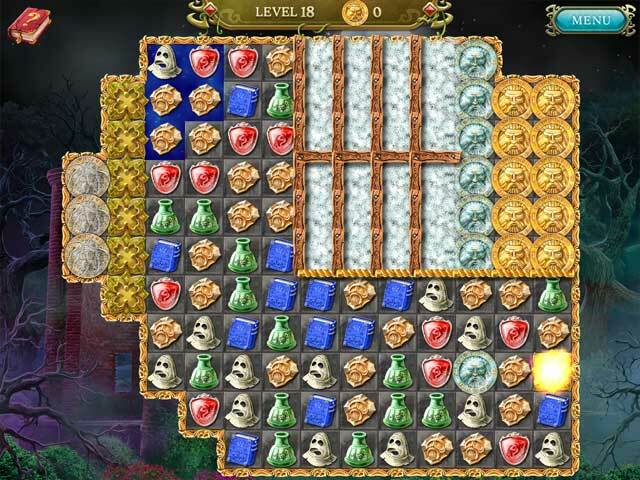 I love these types of games and this one is hard enough to keep my interest.It sure beats all those hidden object games we are getting way too much of.Wish they would come out with a good marble popper game that is comparable to Zuma. Rated 5 out of 5 by raydog from Excellent game! I am a big fan of all the cursed houses - also the Laruaville series too so this one just fits perfectly. I like that it isn't your usual match three. You really have to think through the levels. It isn't just your cut and dry match 3. Love the power ups too. Many hours of interesting play!